MURPHYSBORO: Fred M. Armstrong, Sr., age 62, of Murphysboro, passed away at 12:07 p.m. Saturday, July 5, 2008, at Memorial Hospital in Carbondale, Illinois. A funeral mass will be held at 10 a.m. Wednesday, July 9, 2008, at St. Andrew Church with Father Gary Gummersheimer and Deacon Don Sparling officiating. Friends may call at Pettett Funeral Home from 5 to 7 p.m. Tuesday, and a prayer service will be held at 7 p.m. at the funeral home. There will be an Irish Wake from 8 to 10 p.m. Tuesday, at Mr. Armstrong's home. It was Fred's request that in lieu of flowers, memorials may be made to St. Andrew Church Sound System Fund, St. Andrew's Knights of Columbus, or the American Diabetes Association. After the funeral mass, his body will be cremated. Gravesite services including military services will be held at 1:00 p.m. Saturday, August 2, 2008, at Bath Community Cemetery in Bath, New Hampshire. Frederick was born to Frank C. Armstrong, Jr. and Margaret Lois (Harper) Armstrong. He served in the U.S.Navy during the Vietnam Conflict as an Aviation Ordnanceman Second Class. 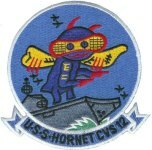 He toured for 18 months on the U.S.S. Independence and U.S.S. 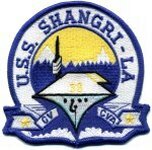 Shangri-La under the supervision of Chief Petty Officer Archie M. Vest. Fred had worked in retail sales for many years, but he retired as a supervisor on the Greenway Toll Road in Loudoun County, VA.
Fred was a member of St. Andrew Catholic Church in Murphysboro, a third degree knight of the Knights of Columbus, and a member of the Moose Lodge. Fred has been a musician for the St. Andrew Choir and for the St. Frances de Sales choir at Purcellville, VA. He loved music very much. He was at his best when he was playing his guitar or entertaining friends! He married Nancy Schenk on January 31, 1970, in Quincy, Illinois, and she survives. Other survivors include two sons Fred Armstrong and his wife Elizabeth Armstrong of O'Fallon, MO, and Patrick Armstrong of St. Louis, MO; one brother Frank C. Armstrong, III, of Miami, FL; one adopted sister Anne Wagner of Colorado Springs, CO; a dear friend Mary DeLashmutt; and his beloved dog "Daisy". 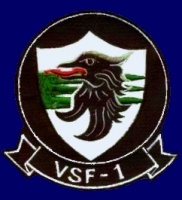 He was preceded in death by his parents Margaret and Frank C. Armstrong, Jr., maternal grandparents Mabel and Alwin H. Harper, and paternal grandparents Margaret M. and Frank Armstrong, Sr.
Archie, Please share with all the men from VSF 1. I will hold you up in prayer especially on Tuesday. Please keep me posted . Fred always spoke highly of his fellow navy “brothers”. Oh, the stories he told about his navy days!! He was proud to serve his country while serving under Archie and with you. I would like to take this opportunity to say “Thank You“ for your service to this country. It is too bad that Veteran's Day comes but once a year. My freedom and the many blessings this country provides me is because of the service men and women who have given their time, their efforts, and (in far too many cases) their lives so that the rest of us enjoy Freedom. I thank you for this and pray that each of you will be richly blessed.